The George S. Hunt Block at 660 Congress Street is a designated landmark in a local historic district, and a contributing building to one of Maine’s national historic districts. Built in 1886 and designed by noted Portland architect Francis Fassett and his associate Frederick Thompson, it is a prominent example of the once-popular Queen Anne style. 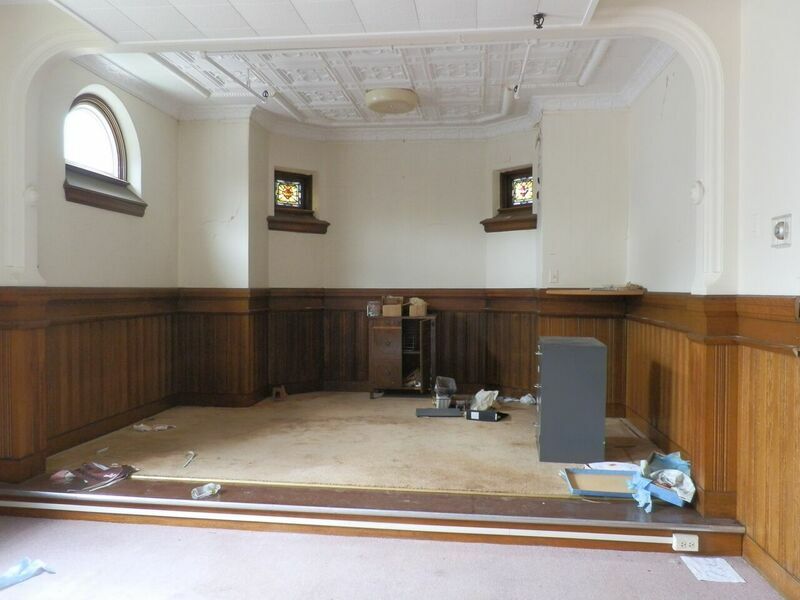 In 2011, the previous owner abandoned plans to rehabilitate the building in the wake of a destructive fire. They had demolished the building's interiors at the behest of their engineer, leaving only the historic facade and roof, which had been severely damaged by the blaze and suffered from the effects of years of deferred maintenance. A complete transformation began in December 2011 when 660 Congress was purchased by, Kenn Guimond, who served as both the developer and general contractor. His contributions to the project were singular. Not only did he meet and exceed the Secretary’s Standards for Rehabilitation of the exterior, but his commitment to design excellence underscored a respect for the quality and history of the original building. Where others might have seen an opportunity for shortcuts, he chose to pursue a thoughtful rehabilitation, with a spirit of integrity and attention to detail that honored the spirit of 19th-century building practices. Guimond’s initial challenge was to envision the interiors without any existing documentation reflecting their original design. Guimond returned to what remained of the building, the historical facade, and traced the silhouette of the mansard roof with gently curving walls. 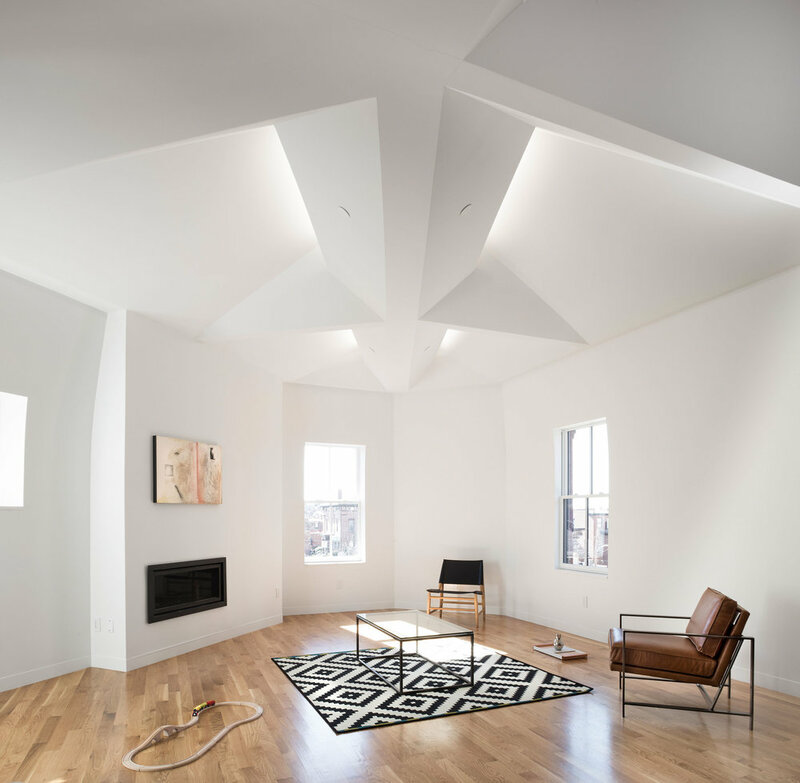 At the ceiling, the expansive volume of the roof is revealed with dramatic light coffers that bring light into the spaces through skylights and hidden architectural lighting. In other areas, fragments of history such as arched doorways, fireplaces and brickwork were left untouched. 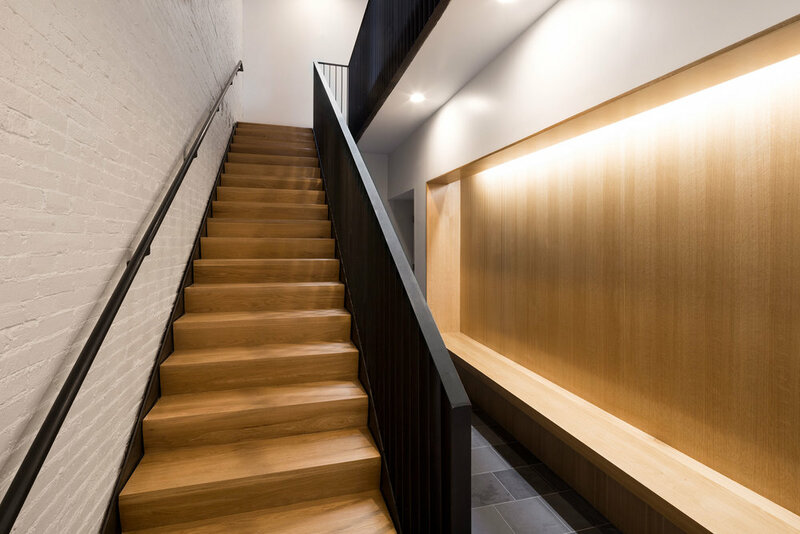 The new residential entrance features a blackened steel stair with solid white oak treads, fabricated by a local Maine welder. Many of the improvements are hidden from view, such as new HVAC and utilities, code compliant structural work, and upgraded environmental and life safety systems. The facade was the most important historical aspect of the project and was meticulously rehabilitated. 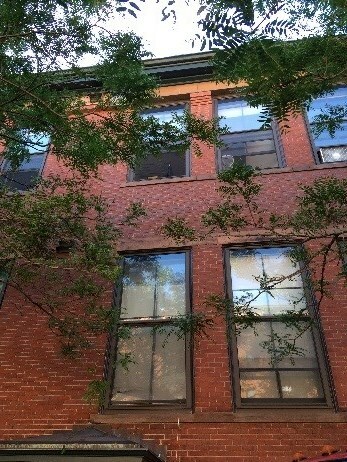 New copper roofs were installed, and unsightly downspouts were returned to their original concealed brick pockets. 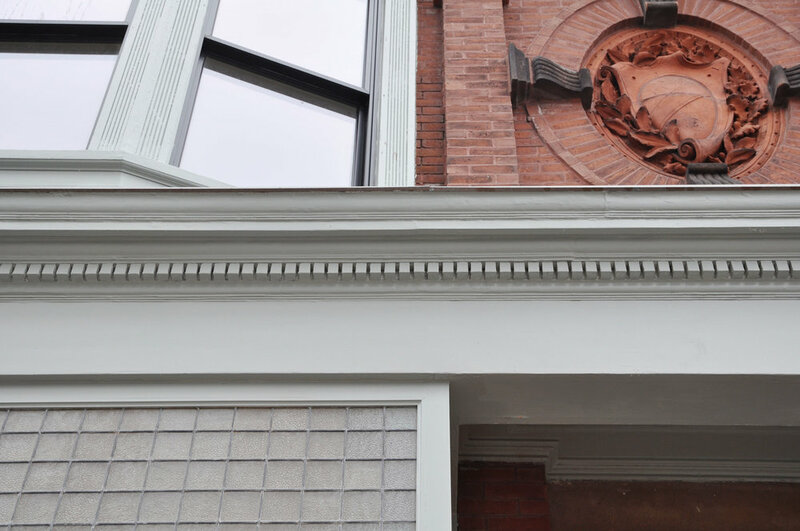 The pressed tin frieze and dentil ornamentation were carefully restored on site, and rotted wood storefront window frames were replaced in kind. This was accomplished on a logistically complicated site with limited private property available for staging. 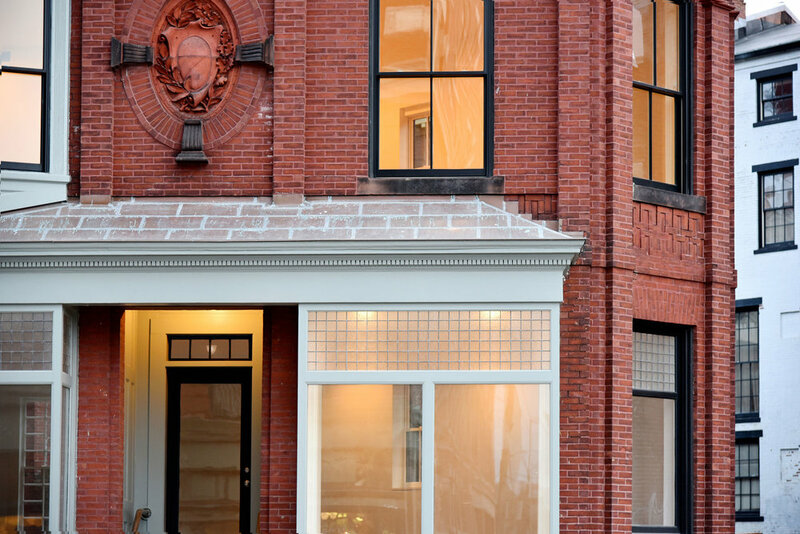 The team approached the $2M redesign with a vision to revitalize the landmarked facade and modernize the building’s interior, allowing the spaces to flow fluidly together. The result is a building aware of the past, but not bound to it. The 7,500 square foot structure was completed in 2016, and includes a pair of two-bedroom apartments, and a light filled commercial space on the ground floor with a spacious basement retail space. The time and effort invested in the rehabilitation has created a building in dialogue with its own history, reflecting the commitment to design shared by the people involved in its past and present. 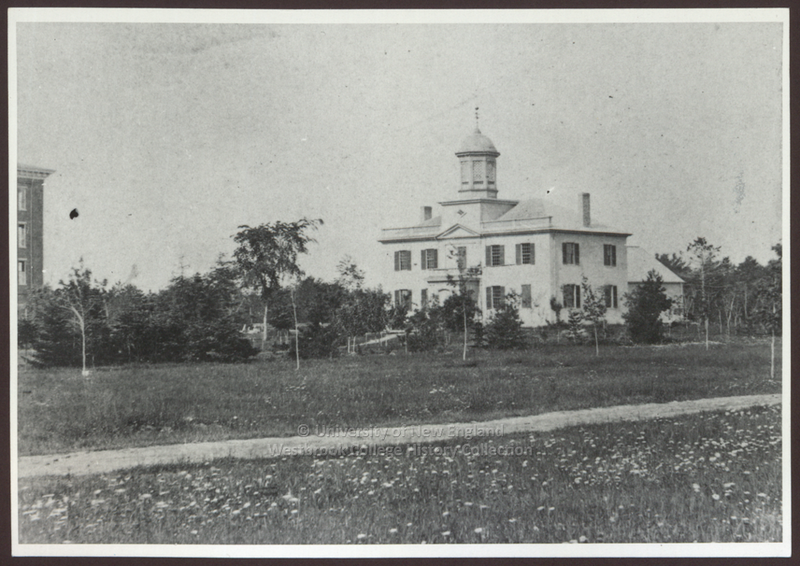 Built in 1833 in the Federal style, the Seminary Building was the first structure built for Westbrook Seminary, a progressive, co-educational school founded by the Kennebec Association of Universalists. The iconic bell tower was relocated from Portland’s 1825 Market House. A rear annex built circa 1894 in the Colonial Revival style was later moved and converted to use as a chapel. The Seminary Building was renamed Alumni Hall in 1894 and remains the primary focal point of the campus to this day. 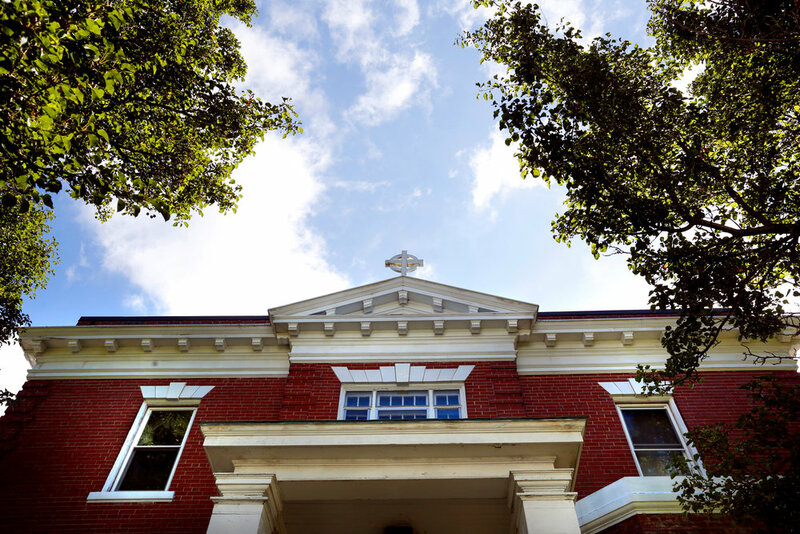 Over the last century, Westbrook Seminary underwent various name changes, finally merging with the University of New England’s Portland campus. 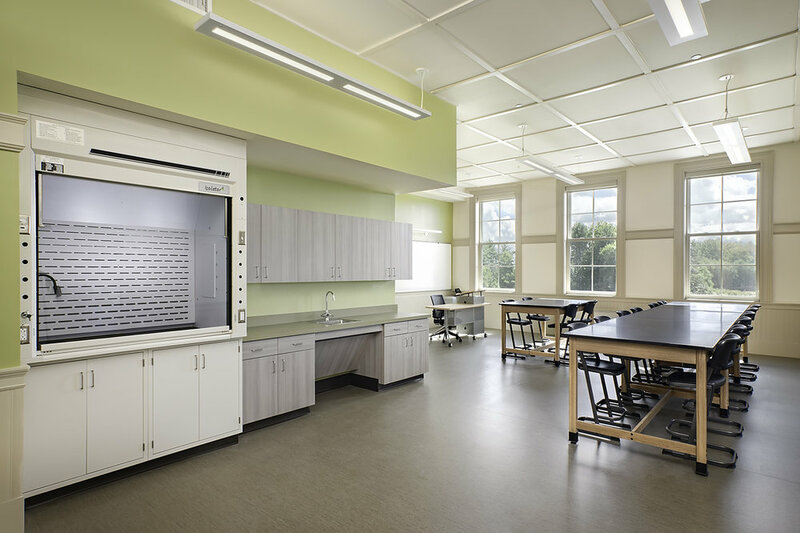 Alumni Hall was renovated in 1938 and again in 1987, and interior alterations created a chapel, theater, chemistry labs and art and music studios, resulting in a patchwork of modifications from different periods. In the 1980’s, exterior brick walls were painted purple, the original windows were replaced and the fine belfry dome sheathed in asphalt shingles. 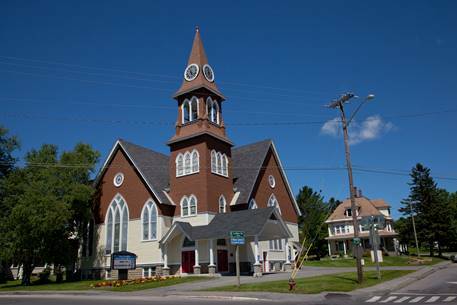 By 2014, the once proud structure suffered from significant water damage, a non-compliant exterior fire escape, and mechanical, plumbing, safety and accessibility deficiencies in both the original building and the chapel addition. Trustees at UNE voted to bring back Alumni Hall, initiating a comprehensive interior/exterior renovation. The scope of work included restoring the exterior as it appeared between 1868 and 1910, when it was painted white and had twelve-over-twelve double-hung windows with operable shutters. Structural deficiencies of the rear annex warranted demolition and the construction of a replica structure that incorporates the original massing, brick base, window pattern and large interior space with vaulted beadboard ceiling. The original interior stair retained with only slight modifications, and the general central hallway layout was respected. New interior doors and casings were crafted based upon historic remnants, and pendant light fixtures were reintroduced based on historic photographs of the interior. Outside, masons repaired cracks in the stone and repointed the facades. 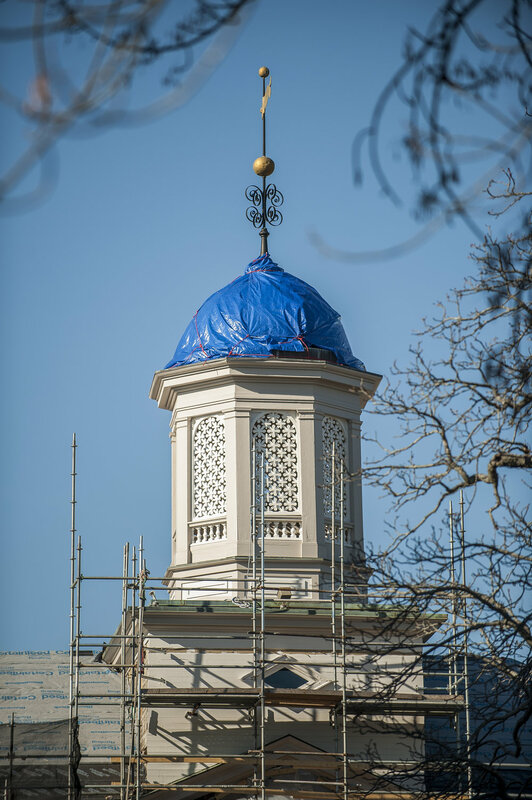 Other teams repairing and replicated decorative woodwork including the cupola, the eaves and the entry surround, and reclad the belfry – this time, not in asphalt but copper. They replaced windows with appropriate reproductions and reintroduced operable wooden shutters. 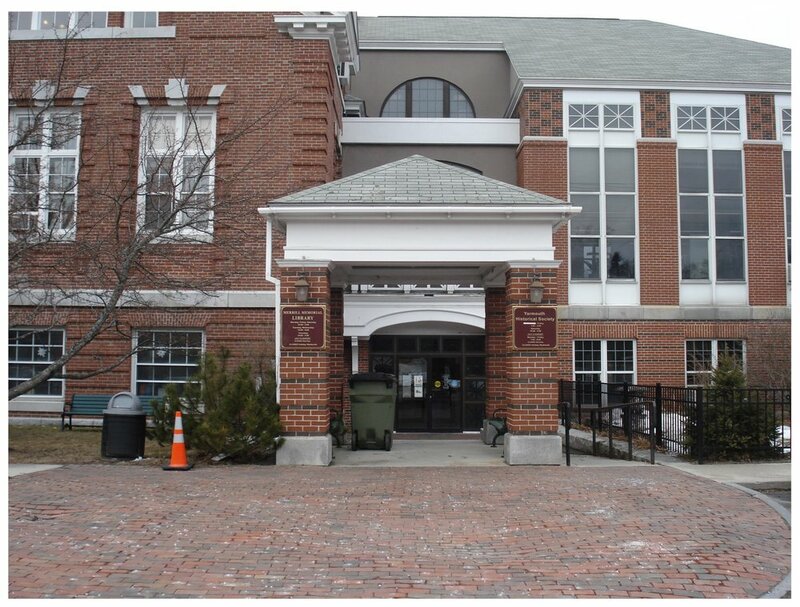 Finally, the courtyard between Alumni Hall and McArthur Gymnasium was modified to better fit the landscape and to introduce an ADA accessible entry to the new elevator lobby. At a reopening ceremony last June--182 years to the day after the building opened to welcome its first class of students--Westbrook College alumni were the first to tour the completed interior and view historic portraits, paintings and a beautifully restored 1950’s era mural decorating corridor walls of the restored heart of the campus. Alumni Hall will now serve as the crossroads of administration and student life, providing executive office space on the second floor, classroom and event space on the first floor, and a comfortable student lounge at the lower level. 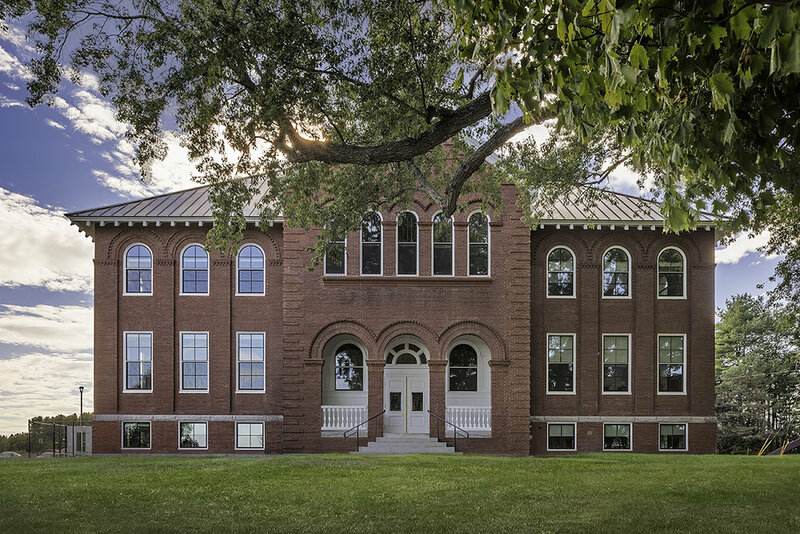 After sitting vacant for over a decade, the centerpiece of UNE’s Portland campus and its historic green have now been restored to their original grandeur, achieving President Ripich’s goal of bringing Alumni Hall building back to its rightful place as the center of student life. Built in 1904-05, the Merrill Memorial Library holds a prominent position in the heart of Yarmouth, both culturally and physically. Designed by noted architect Alexander Wadsworth Longfellow, the Colonial Revival structure is built of local brick with granite highlights. The classic tripartite floor plan originally allowed for a central entrance with a spacious, 1-1/2 story reading room. To one side was circulation desk and closed stacks; open stacks stood opposite. 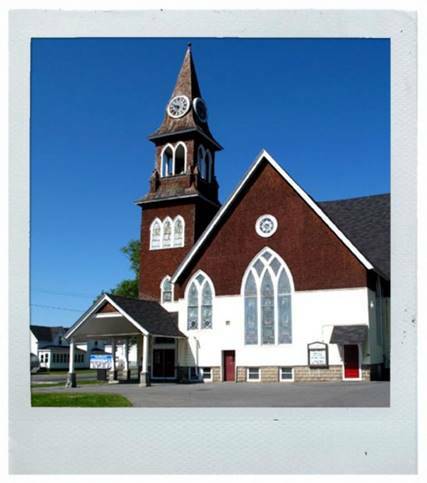 In 1987-88, the Town undertook the first major addition to the Library. 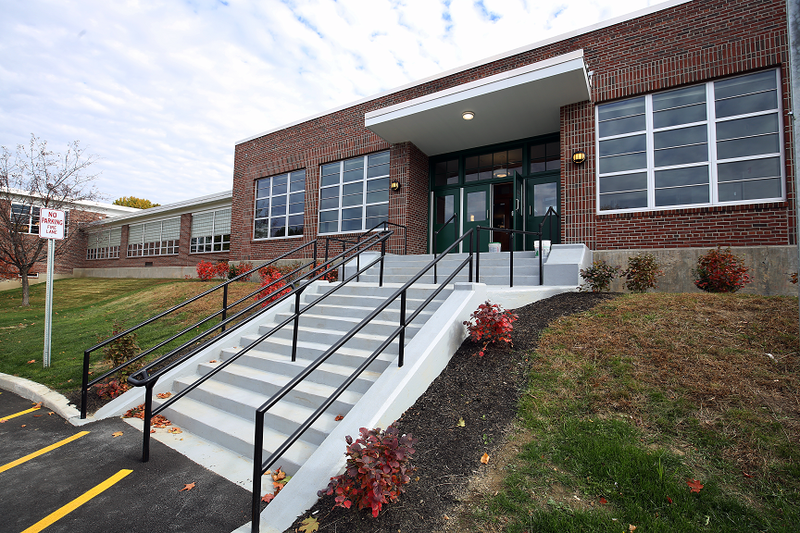 The scope of this work included cutting through the back of the building to create a three story addition, creating a code compliant elevator and stair, an on-grade entrance into the side, and transforming the existing basement into usable space. The renovation was well-considered--but as is the case with many such projects, the focus was on the addition, leaving the original building largely unaddressed. 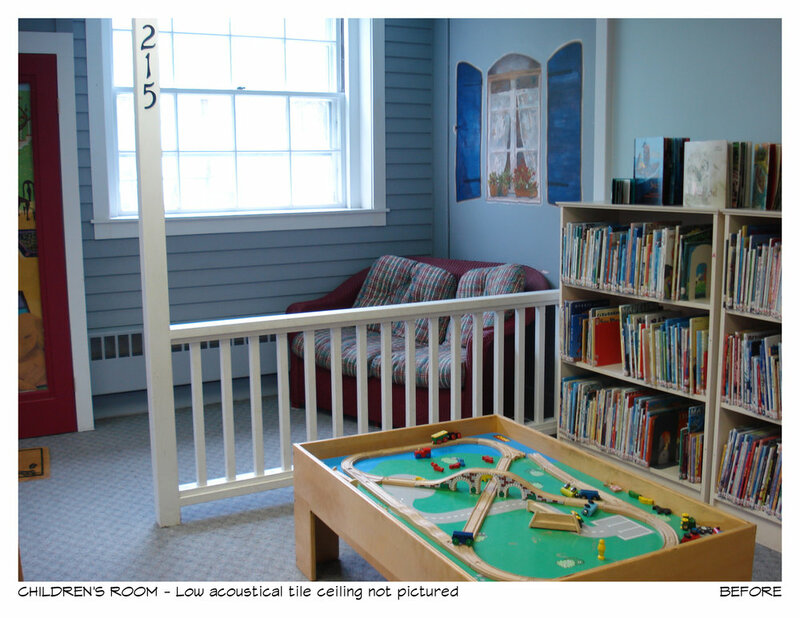 For years, the Yarmouth Historical Society occupied the 3rd floor. 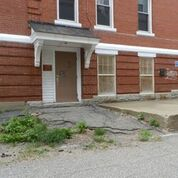 Their departure was the catalyst for the Trustees and town officials to consider a master plan to revitalize the cherished building. In 2014, Library Trustees agreed to move forward. They sought to repurpose the third floor for library use, and to create an 80-seat meeting room for increased public access and appreciation. 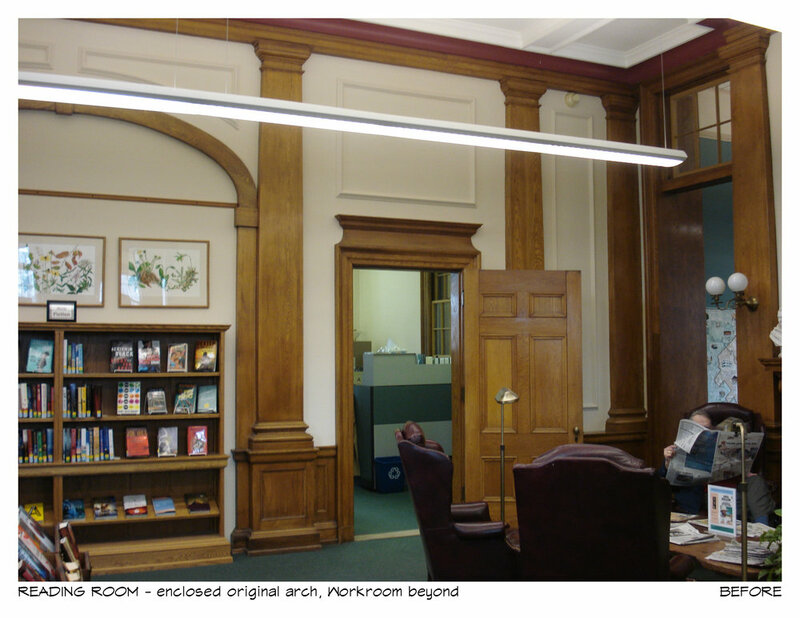 The original arch in the Reading Room/Workroom was to be opened, relocating the workroom to a new space while creating a quiet study area. 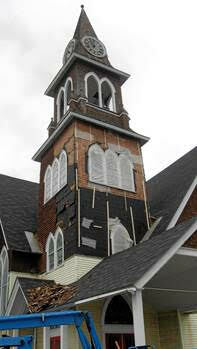 Energy efficiency was key with systems upgrades, insulation and sealing, and rehabilitation of the existing windows. . The Trustees and Library Director took the lead in the initial process and fund-raising. In a public-private partnership, the Town Manager supported the endeavor and residents of Yarmouth voted to dedicate significant funding. 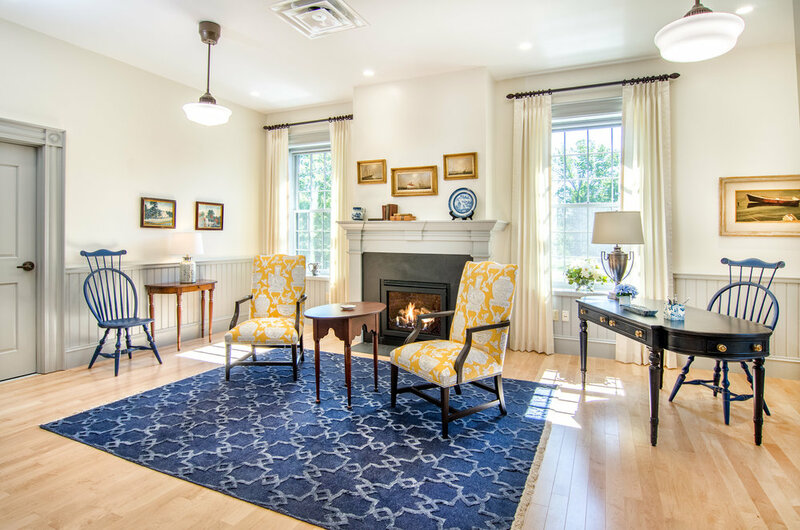 The extensive scope of work included rehabilitation of existing wood and aluminum windows, restoration of the original lighting plan with the addition of backlighting, terrazzo refinishing, plaster repair, floor refinishing, new paint, and restoration of the oak woodwork. 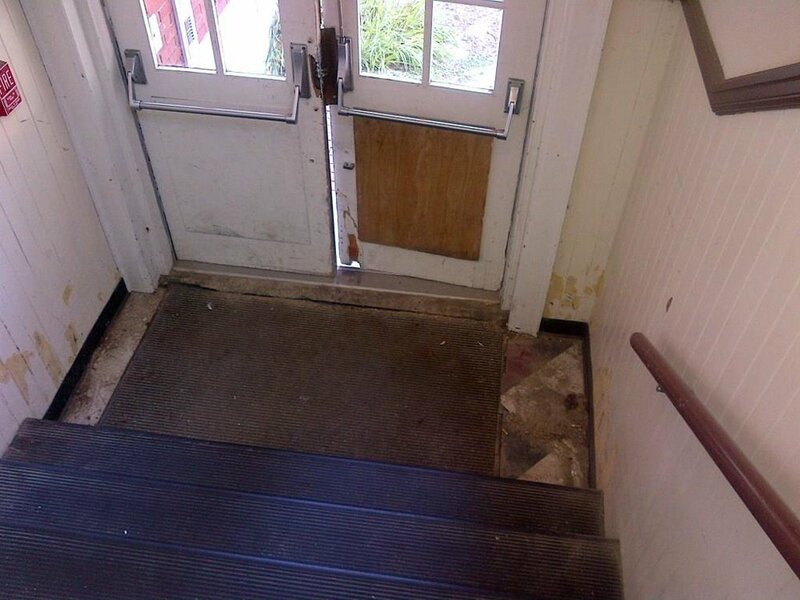 In addition, it included the construction of a new entrance using compatible materials, and further work to ensure the building was up to code and met ADA accessibility requirements. Of special interest are the shades for the lunette windows. The originals had no room overhead for typical shades. 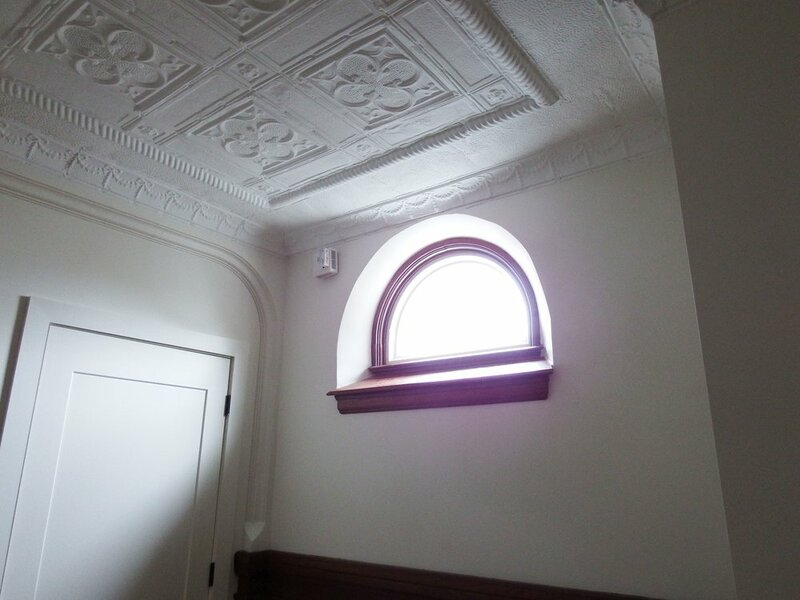 In Yarmouth, the architects recessed motorized units into the plaster ceiling instead of obscuring the original woodwork. 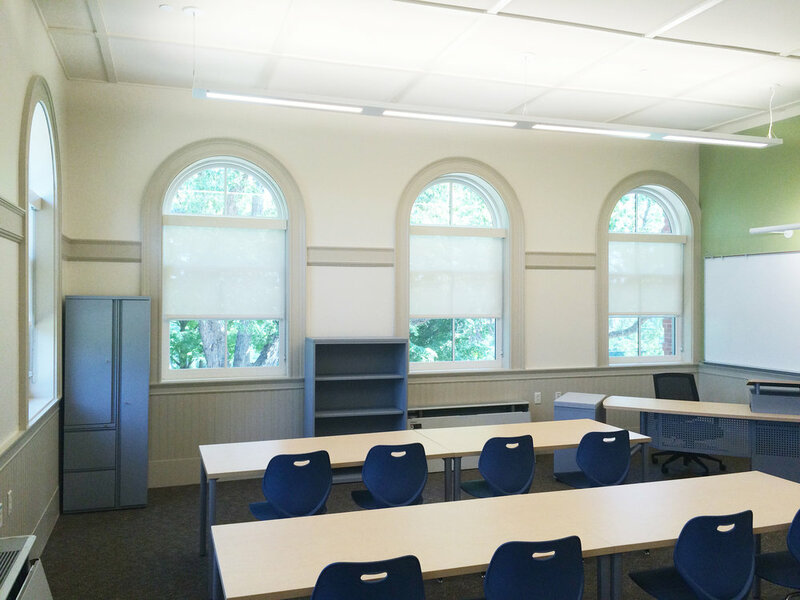 The Merrill Memorial Library is now a completely renewed public building. With restored historic features, added insulation, and a new high- efficiency mechanical system, the building’s overall energy consumption has been reduced by 30 percent, allowing it to be both physically and operationally sustainable well into the future. The new entryway serves as a light-filled community gathering space and also creates a safer, more accessible approach to the library. 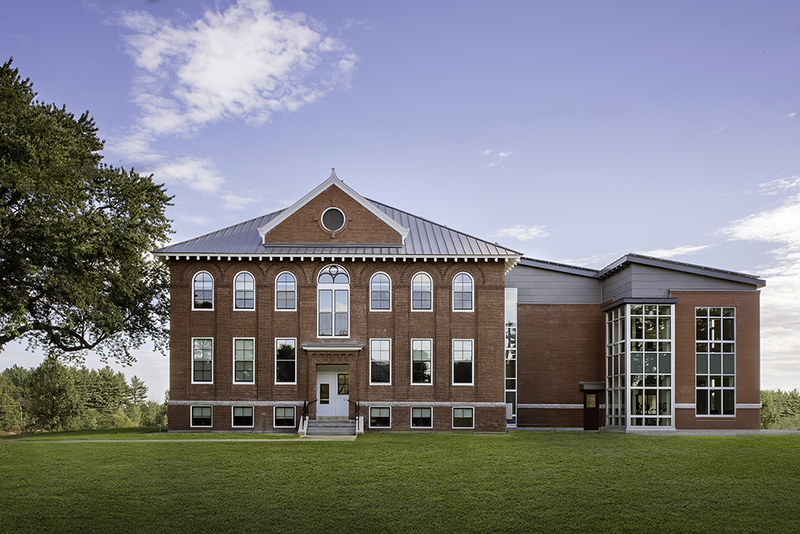 Many of the products used in this project came from Maine and New England companies: the water-struck brick from Auburn, for example, was created in the same type of mold used over 100 years ago, and special dark-flashed brick headers were donated by a Vermont brickyard. The Merrill Memorial Library rehabilitation and addition exemplifies the benefits of public-private partnerships working with historic preservation architectural/engineering teams in order to create strong outcomes for an important public building. 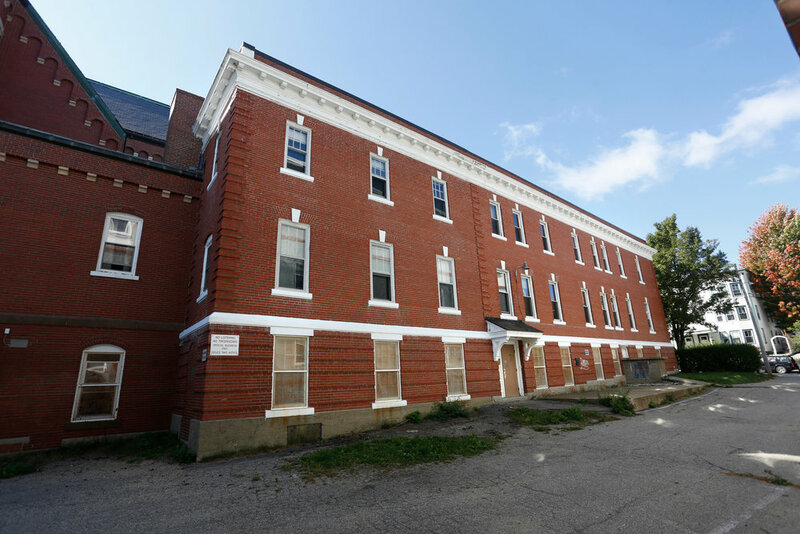 Built in 1906 to serve as a boys’ school at the Good Will-Hinckley orphanage and home for needy children, the Charles E. Moody School closed in 2009 and stood vacant for almost forty years. In 2011 a committee including private sector and nonprofit professionals mapped out a new vision for Good Will-Hinckley which included establishing new leadership, partnering with an outside organization, and selling some of its real estate. In 2012 planning began for renovating and expanding the Charles E. Moody School. 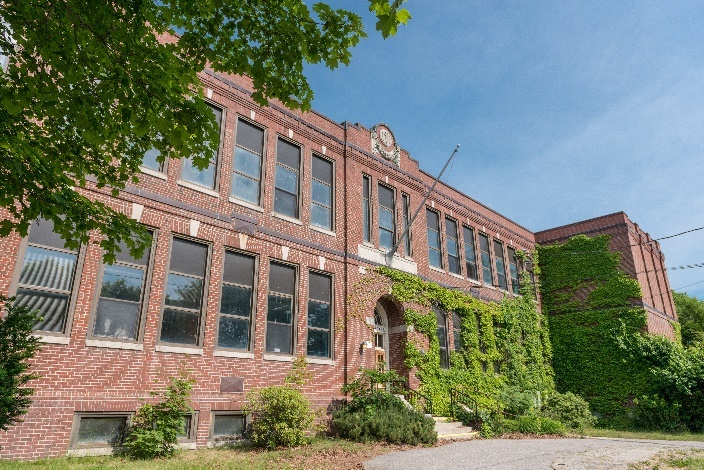 Today, the Charles E. Moody School now houses the Maine Academy of Natural Sciences, Maine’s first charter high school. MeANS provides disengaged and at-risk kids with individualized academic support, and utilizes the extensive natural resources of the campus to promote a curriculum that includes agriculture, forestry, and environmental sciences. Because the school building had been vacant for decades, significant rehabilitation work was required. 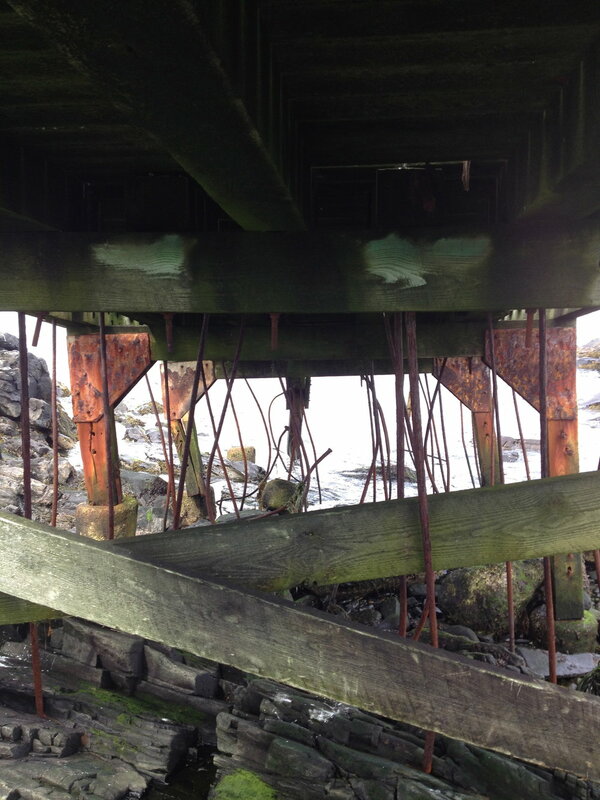 Conditions were so poor that there were large openings in the roof, leading to severe water damage and rot throughout the building. Because MeANS hoped to build classroom and support spaces in the lower levels, significant excavation beneath the building was required to achieve sufficient ceiling heights. 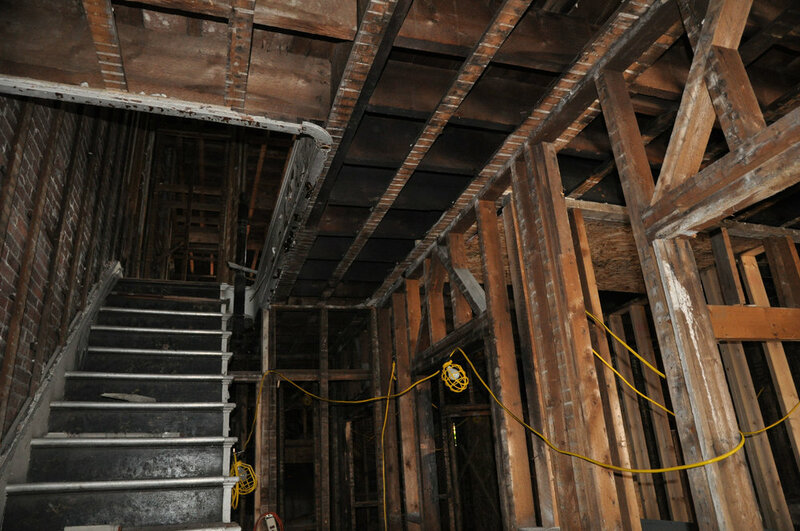 Water incursion, due to a striated rock ledge beneath the basement, proved a serious problem, but a system of drains, vapor barriers, and other means of waterproofing were used to mitigate the threat of future damage. 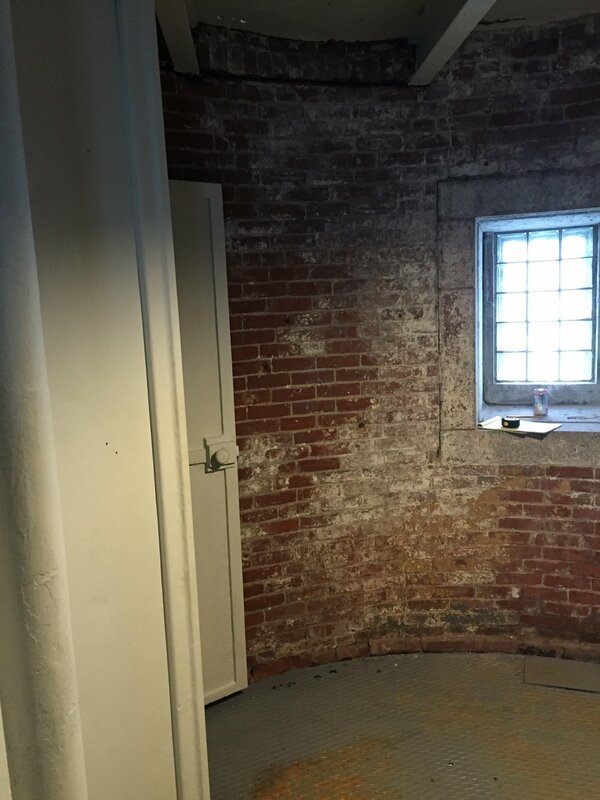 Significant masonry restoration was undertaken on the exterior of the building, and damaged or missing elements of both interior and exterior trim were replicated. 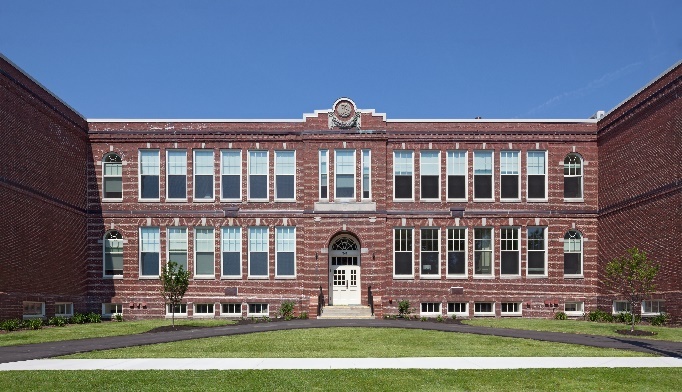 The rehabilitation of the Charles E. Moody School means that this historic building will continue to serve the educational needs of Maine’s youth well into the 21st century. 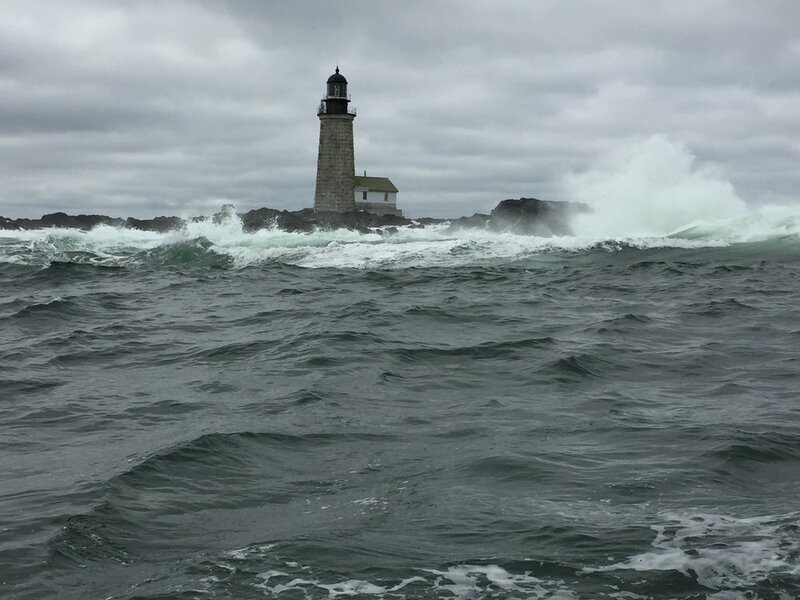 It’s a success story all Mainers can be proud of. The Rosa True building, a neighborhood landmark significant for its association with the development of Portland’s Spring Street Historic District, was originally constructed in 1844 as a relatively modest, T-shaped Greek Revival style schoolhouse. 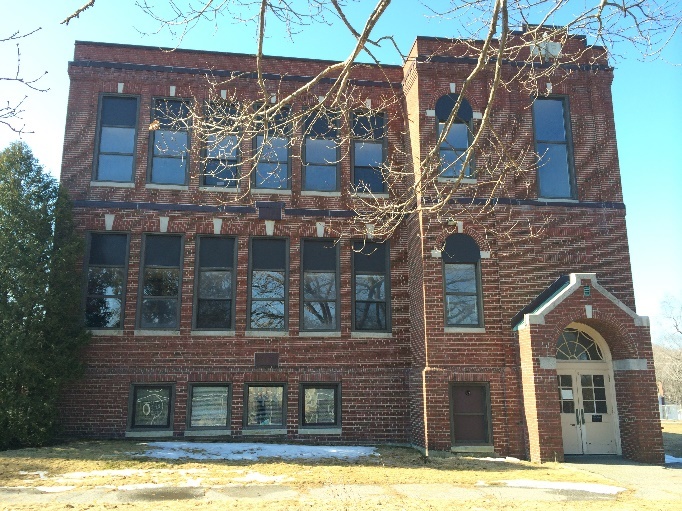 In the ensuing decades a 2-story addition was added to the rear, In the 1920s the school was renamed the Rosa E. True School in honor of its long-time principal. But the well-used building gradually fell into disrepair. 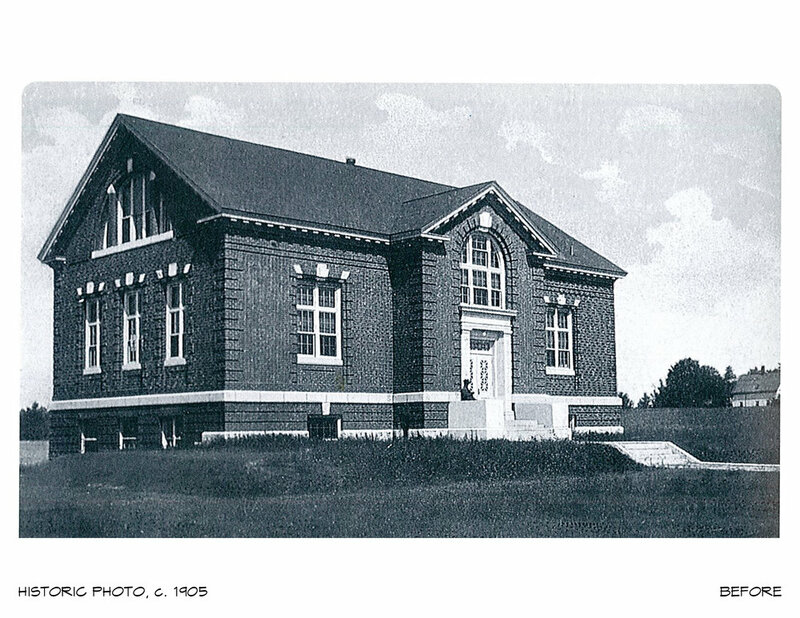 Finally—in 1972—Portland’s longest serving public school building in continuous use was closed. 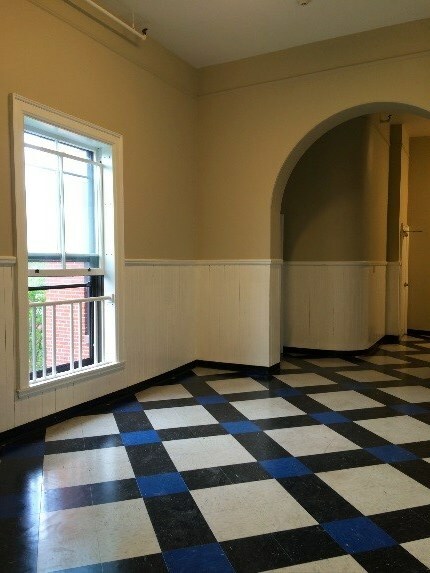 Greater Portland Landmarks secured a revolving loan to help save and convert the property, and a low-income apartment building opened here in 1992. Unfortunately, conditions at the apartment building also deteriorated over time. 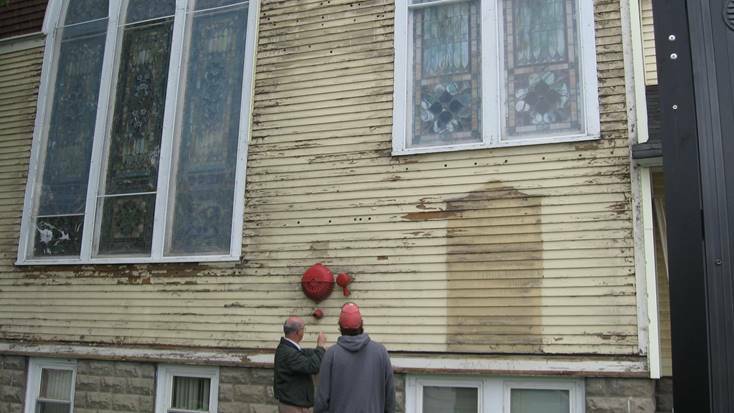 Much of the building envelope was in great need of attention and the entire property suffered from years of deferred maintenance. When its non-profit owner transitioned out of the housing ownership business, the Rosa True building’s future was in doubt. Enter developer Kevin Bunker, who led the effort to save the neglected structure while increasing the efficiency of the space. 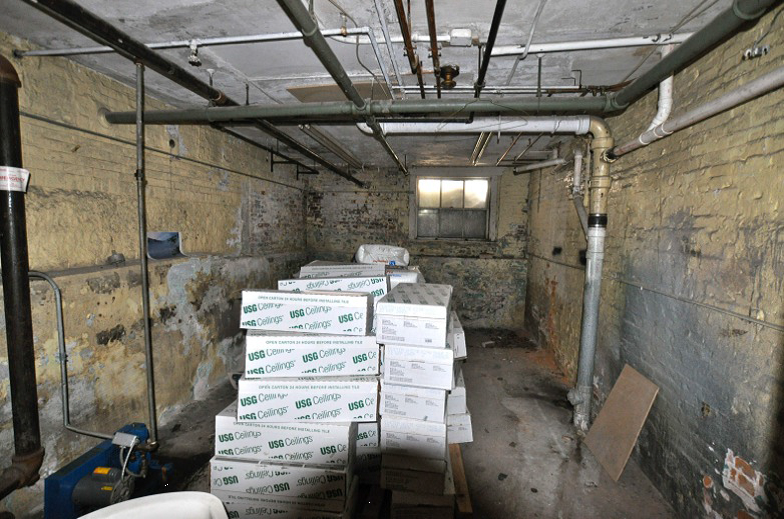 Bunker convinced state officials that the former school was an important resource worth saving. And City officials soon agreed, offering to defer the existing debt on the project. 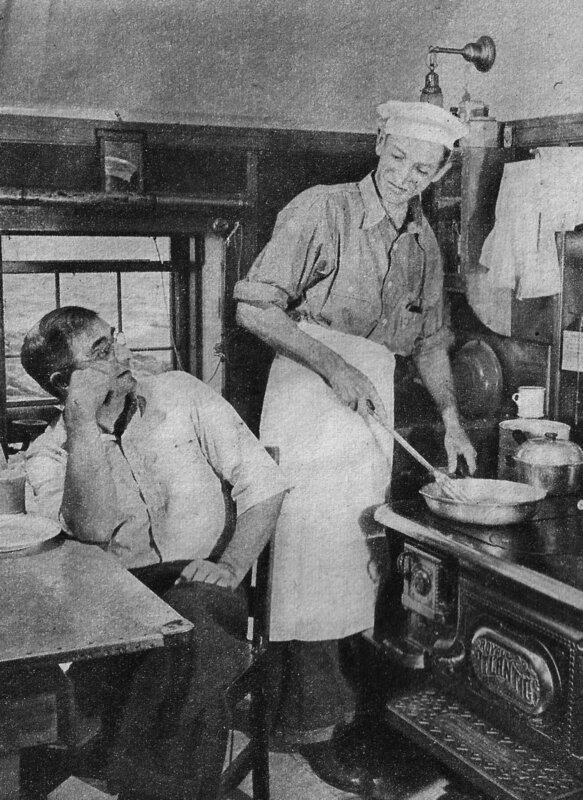 So did state entities, with Maine Housing providing resources beyond their traditional program offerings. On the exterior, most of the building was repointed and the original windows and doors repaired. On the interior, the two historic main staircases were preserved along with feature beadboard wainscoting in the corridors, historic door casings and picture rails. To complement the collection of apartments created in the 1990s, the project team added two new units in a daylight basement----and managed to rehab the basement level while most units above remained occupied! The impressive, Italianate style Knox County Courthouse opened on March 9, 1875. A half-story base of granite supported the brick building and a flight of stairs ascended to an elegant portico supported by Doric columns. The original Palladian window above the portico looked out onto a small balcony surrounded by a granite balustrade. 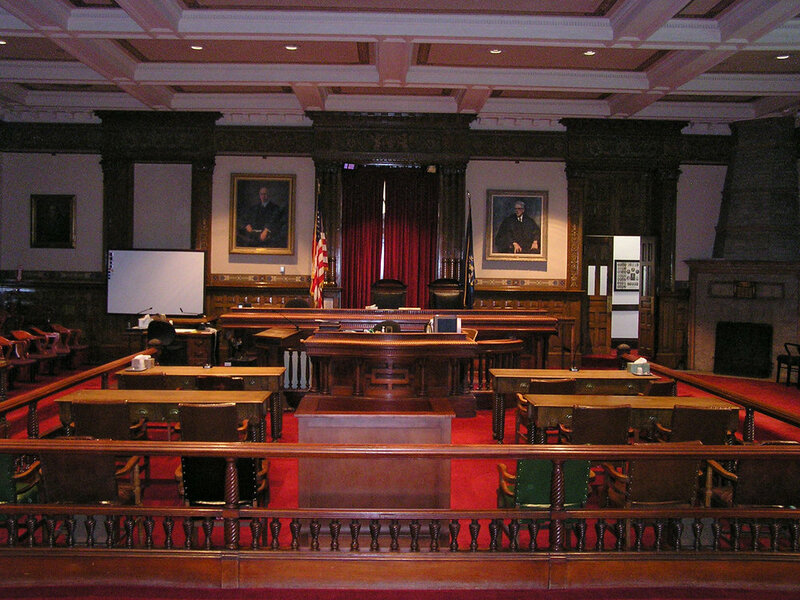 Sides of the building were adorned with two-story windows, which provided light for the courtroom. 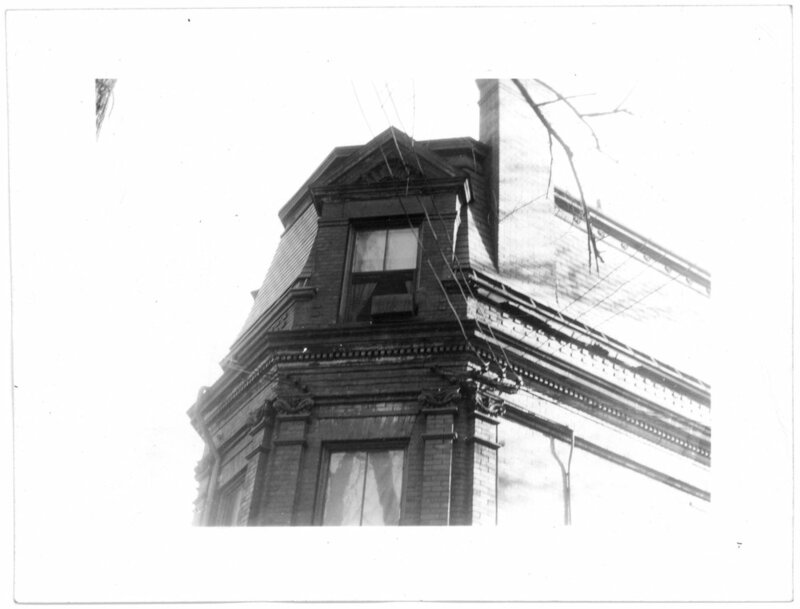 Surrounding the roof line was a heavy cornice, and four chimneys, two on each side. 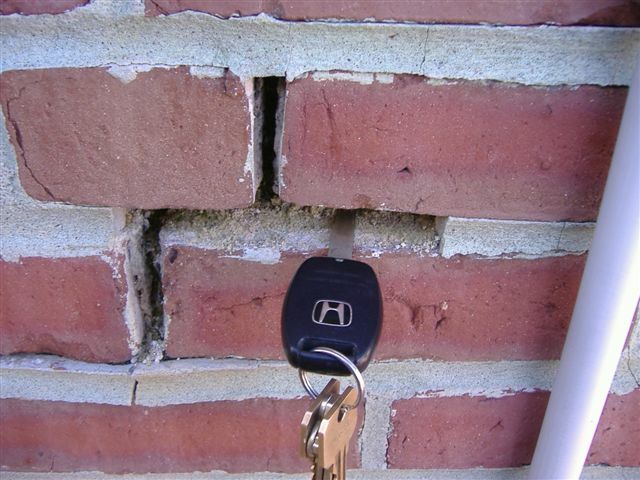 In 2015 Building Envelope Specialists quickly uncovered that poor repairs had led to deteriorating mortar joints and fractures in the wall assemblies. 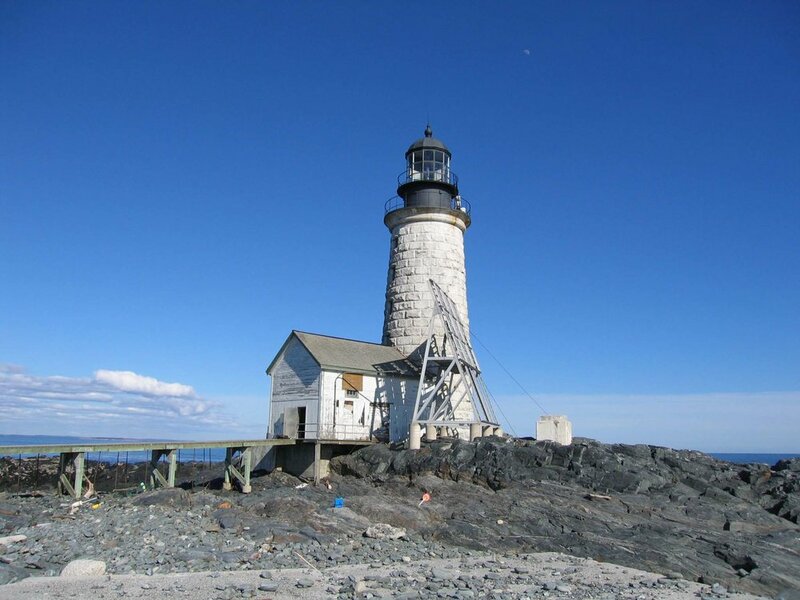 A closer investigation revealed that the original mortar mixture was natural cement, and well-intended repairs using Portland cement had only accelerated the aging process. 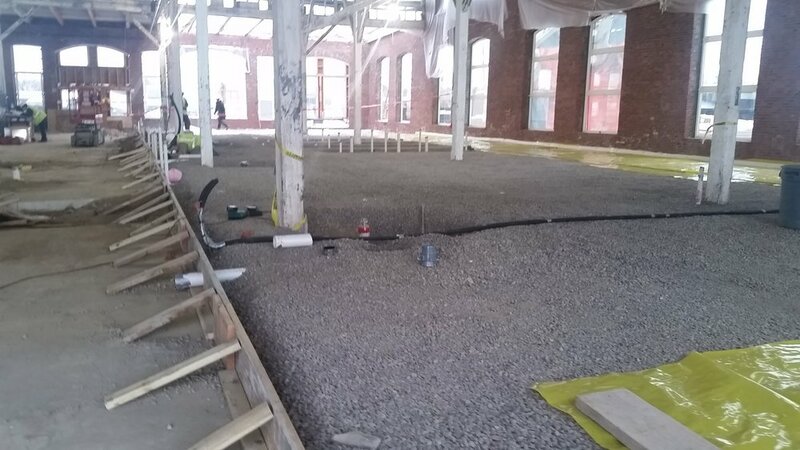 Arresting moisture infiltration was the main goal for this project. Exterior repairs included uniform repointing of masonry elements using a mortar composition matching the original. The fractured granite was mended using an epoxy with dark sand aggregate to match the original stone. 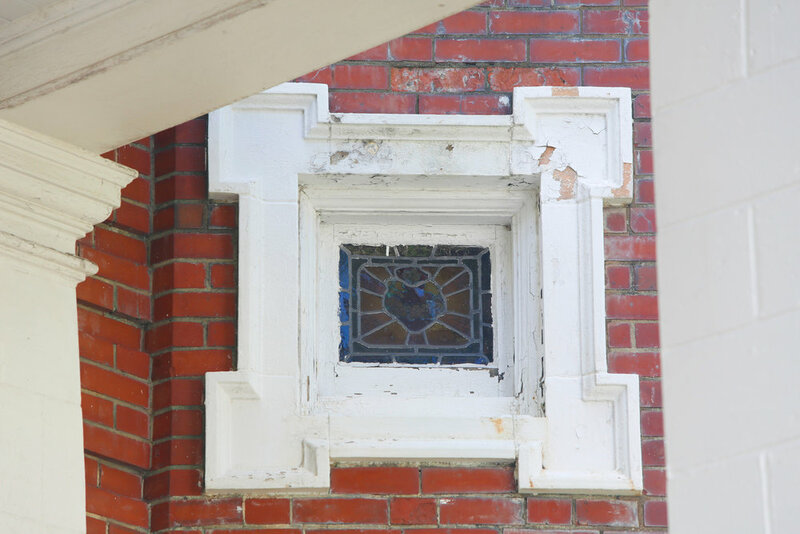 Replacement windows were also installed complementing the style of the building, during which proper measures were taken for lead and asbestos abatement. Rockland’s Italianate courthouse has now been preserved and restored so that locals and visitors alike can admire its history and architectural beauty. This is truly a community success story, since the people of Knox County provided the funding to insure that their county court house was repaired to the highest standards, and will remain a distinguished local landmark for years to come.